I recently bought a new car. For me, buying a car has always been a painful process. And while I have no data to support this other than anecdotal evidence from friends and family, I believe most people feel like they are being screwed each time they buy a car. While one rarely has the ability to confirm that they paid more than they should, few people leave the process feeling good about it. My husband is one of those people who detests buying a car but as the odometer on my existing car reached 135,000 and the mechanics at the local auto repair shop began to know me on a first-name basis, I had to force the issue. Turns out the issue for my husband wasn’t really spending the money (the repair bills were becoming expensive) but the whole process of purchasing a car. Now we had tried going to a CarMax (where you don’t negotiate but pay the price listed on the windshield) but we didn’t really feel great about that either. Finally my business partner suggested a person he knew who helped people buy cars. There was a fee involved but this guy was very good at negotiating deals. It turns out that the “guy” was a retired financial advisor. 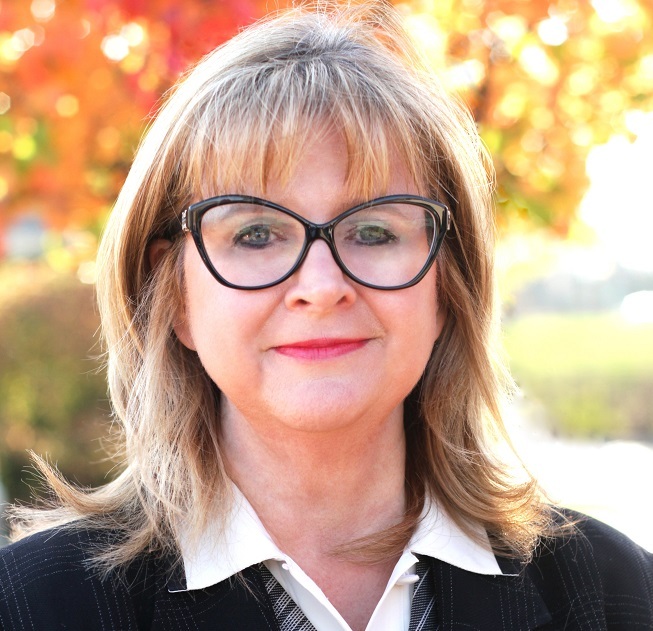 He had started helping his clients buy cars while he was an advisor and found that it was a way to attract clients as well as a way to retain relationship loyalty. The whole experience for me was worth the fee and I will soon have a new car delivered to my home. Spectrem decided to ask investors whether they would like their financial advisor to offer this concierge-type service, as well as other services that involve spending substantial amounts of money. This was asked on a 0-to-100 point scale, with 0 being “Not at all enthusiastic” and 100 being “Very enthusiastic"). Investors expressed a level of interest in having their financial advisor assist them when purchasing a car at 23.05. 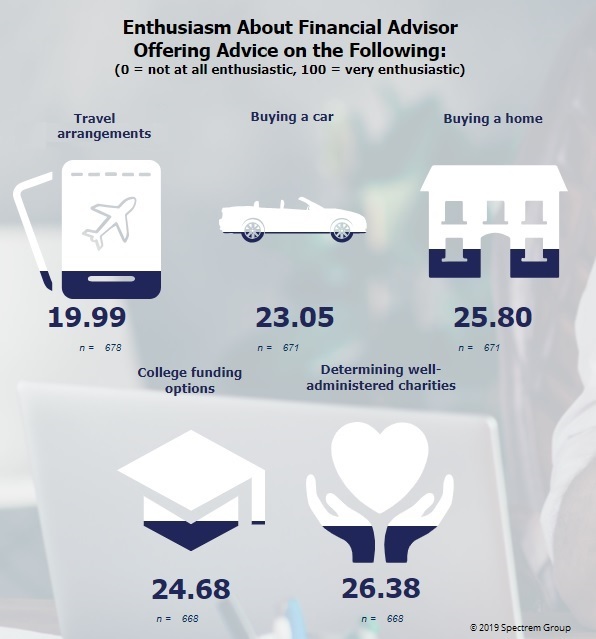 Purchasing a home scored even higher, receiving almost 26 on the enthusiasm scale, indicating they would like their financial advisor to help them when purchasing a home. It’s interesting to note that two services that seem more likely to be offered by a financial advisor than buying a home or car, which were college funding options (24.68) and identifying the best administered charities (26.38), scored similarly to the above options. Providing travel services scored only about 20 and was the least interesting of the potential “concierge-like” services tested. Sometimes we find that because a service isn’t generally associated with a particular type of provider, that investors and consumers don’t necessarily express an interest. Sometimes we can’t envision what we haven’t already seen. For example, who would have thought 15 years ago that you would someday buy groceries from an online bookseller? Perhaps advisors should consider offering some of these services as they seek to develop a value-added relationship with consumers. While the concept of “holistic advice” generally includes helping investors to save for college what about actually filling out the FAFSA forms? Or when do you advise elderly clients that it’s better to lease rather than buy a car? And what about assisting in the sale of a residence if someone needs to move to assisted living? There are all kinds of important financial decisions that investors need to make about their assets that have nothing to do with the stock market. When will advisors learn to help with those services?